Grow your very own super sweet little Alpine strawberries for tasty summer treats. They are ideal for a sunny patio and will produce lots of delicious fruit for several years. 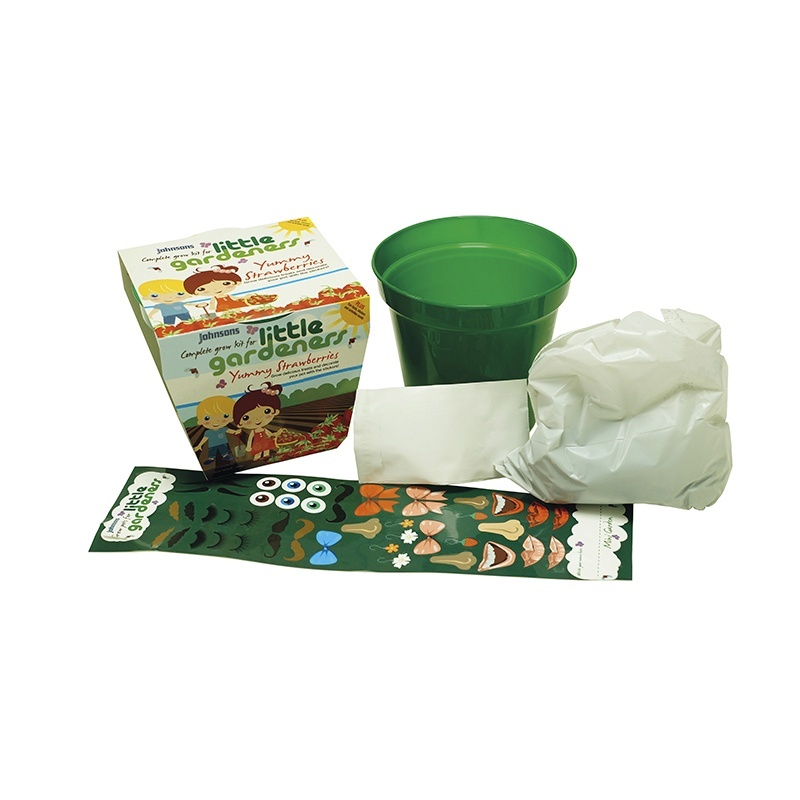 Includes seeds, compost plastic pot, fun fact and activity sleeve and stickers to decorate your pot.